Speed through the trails in comfort and style with the Altra Superior 4 Trail Running Shoe. This sleek shoe has a lightweight upper with a wrap-around style that protects your feet on the trails and features a FootShape™ Toe Box that helps your toes spread out naturally for improved comfort. 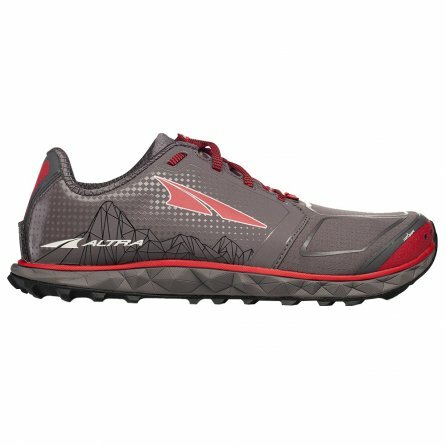 It also has a Zero Drop™ Platform that’s designed to keep your heel and forefoot the same distance from the ground, for a more natural stride with less impact – so you can spend more time on the trails. And this trail running shoe wouldn’t be the same without quality traction, which is why the Superior 4 features sticky MaxTrac™ rubber on the outsole with TrailClaw™ lugs that are designed to give you quality traction even on the roughest terrain.